According to research performed by InterPride with the participation of close to 100 Pride organizations around the world, the most active support from local authorities for Pride events can be found in Canada followed by Europe. 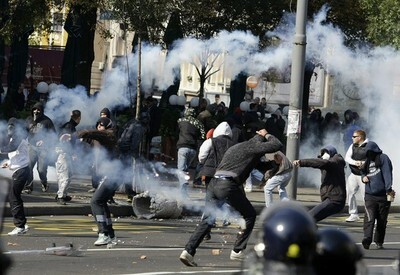 In the United States, support from local authorities is perceived to be more passive. These results were established from a survey of over 700 Pride celebrations around the world. The survey was launched as part of InterPride’s ongoing Pride Radar research effort. In Europe, the active support is a positive sign that highlights how an increasing number of countries in Eastern Europe are starting to embrace the Pride movement. 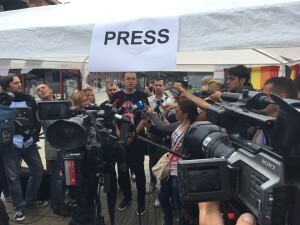 For example this year, for the second time, a Pride celebration in Belgrade, Serbia took place without any violence, whereas only five years ago, that event ended with severe violence against its participants. In Asia, Prides don’t perceive to receive any active support. At its best, the support from authorities is passive. In many cases, the Pride events are ignored by the local authorities. Support from local authorities is found to be a key to success, no matter in which part of the world. This support can be in the form of permits and authorization, free street cleaning, but also in the safeguarding of participants in hostile environments.